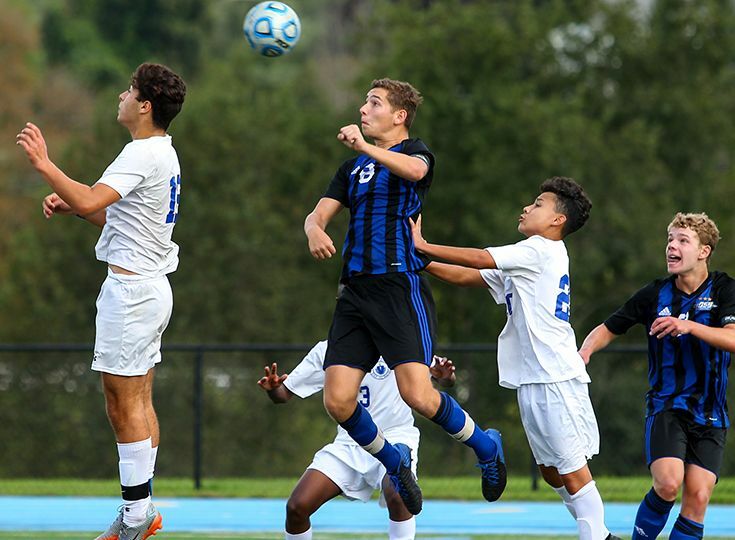 The boys’ soccer team had a tall task heading into the semifinals of the North, Non-Public B sectional tournament. The opposing team, Dwight-Englewood, was not only the top seed in the bracket, but the eighth-ranked non-public school in New Jersey as well. That pressure mounted for Gill as the Knights fell behind 1-0 within the first minute of the match and that score remained the same until halftime. Despite being shut out in the first half, they remained resilient and continued to fight like they have all year. Once again, Andrew Moglianesi ‘19 was the first Knight to get Gill on the board when he scored early in the second half to tie the game. The offense did not stop there, as Micaah Garnette ‘21 and Jordan Canica ‘21 along with David Frankel ‘22 all scored as well to put the game out of reach. Tyler Merna ‘19 recorded two assists and goalkeeper Alex Borto ‘22 was great between the posts as he had nine saves. The Knights will now take on the reigning Prep B champions Montclair Kimberley Academy for the sectional title on Thursday, November 8, at Passaic County Technical Institute. A win would secure Gill’s seventh sectional title in program history. The Cougars defeated Newark Academy 3-1 to advance to the title game and it is the third year in a row that they have reached the championship round.